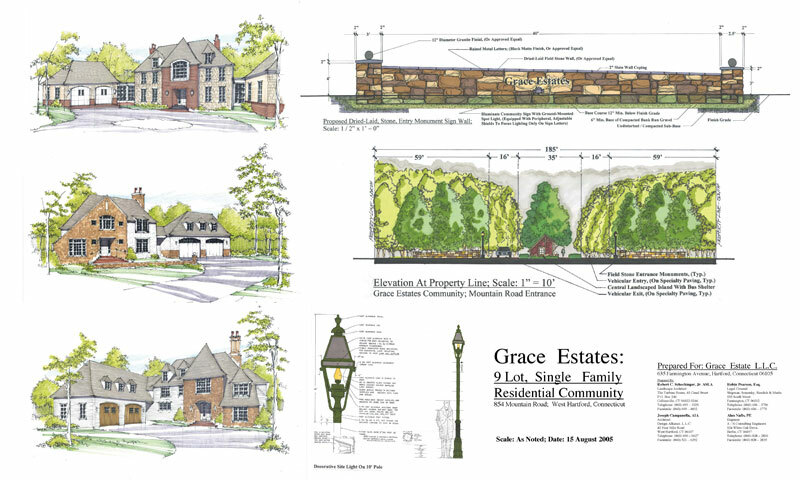 Situated on 16 acres of pristine woodland, Grace Estates will be distinguished by an artful blending of architecture and landscaping that reflects a love of nature and sets a new precedent in subdivision design and low-density development. On nine ½- to 1-acre building lots, the orientation of each 3000- to 5000-square-foot home will be carefully considered and only trees in the way of excavation will be removed, thus preserving a wooded effect throughout the neighborhood. Working within certain pre-established parameters relating to building size and style, property owners will partner with the architect to conceive a home design that gives expression to the aesthetic ideals established for Grace Estates while maximizing the opportunity to reflect the individual goals of each resident in a unique way. 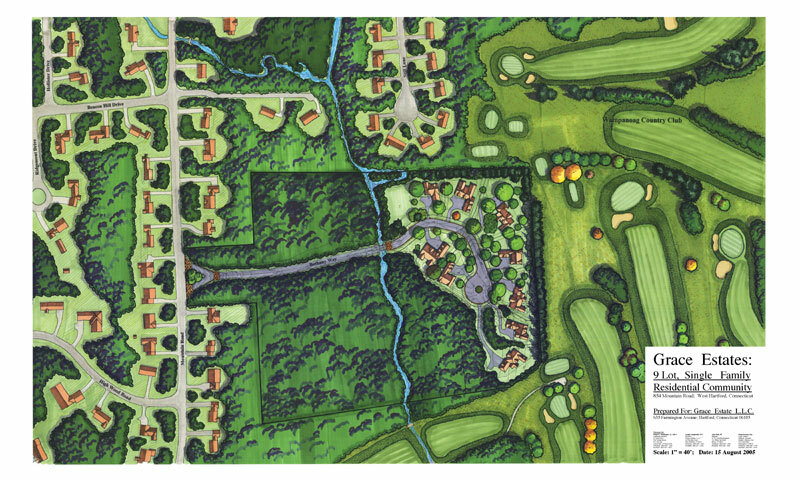 A collaborative custom-build process will yield a design ideally suited for every individual lot in the subdivision.